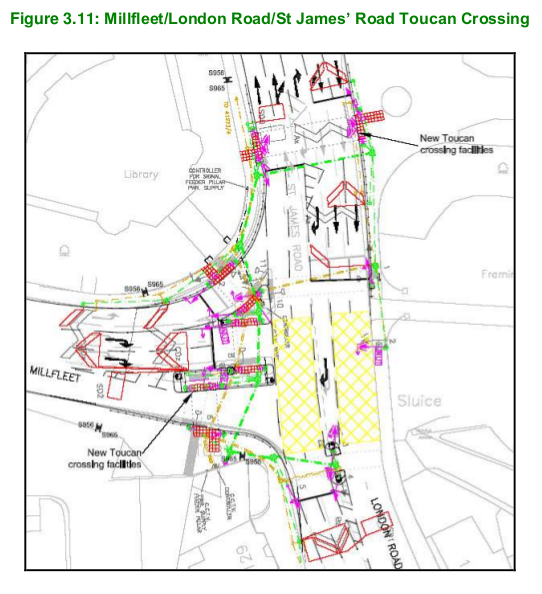 The 2008/9 project that widened Harding's Way and allowed buses onto it included five cycling measures, which I (MJ) feel was an attempt to persuade cyclists to support the project. Only one has been completed so far and the other four remain needed. So can you understand why some of us are angry about the repeated attempts to further open Harding's Way? As well as the promises that it would never be opened to cars, even the project that opened it to buses has still not been completed - one isolated cycle crossing is not what got people to agree to that project. 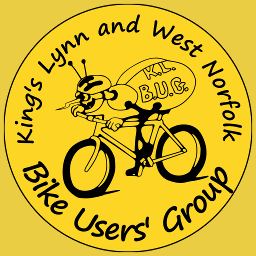 "A number of ‘missing links’ in King’s Lynn’s cycling network were identified in a study undertaken earlier this year. Five of these have been included for development as part of this CIF bid." 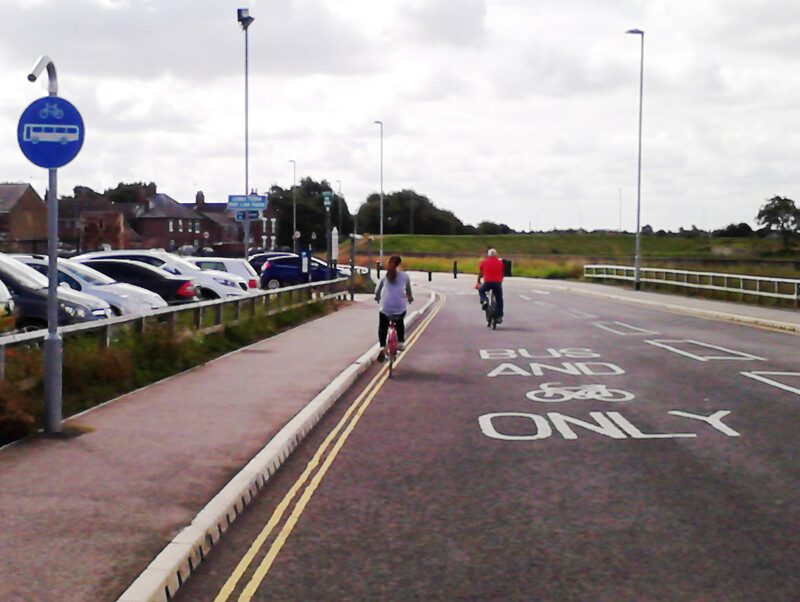 The Kettlewell Lane crossing upgrade was the only cycling scheme built, but it's rather isolated without the planned Littleport Street junction and Norfolk Street contraflow schemes. To make the most of it, the link between the other end Kettlewell Lane and the long pond (Harewood Parade) should be upgraded from gravel to all-weather tarmac, signposted and the crossings over the disused railway widened, too. The other measures are still sorely needed but none have been built. 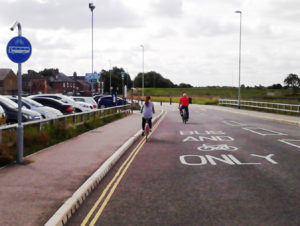 The Norfolk Street contra-flow would be even cheaper now because a painted lane is no longer needed - it could be done with a few "except cycles" signs under the no-entry ones and replacing the one-way signs, like in Waterloo Street. 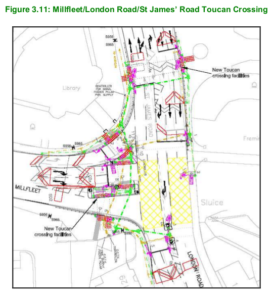 So before the councils make another attempt to break the promise not to open Harding's Way further, how about finally building the cycling infrastructure from the project that opened it to cars? If we hurry, it'll only be 10 years after it started!